At the How To Web conference in Romania this week, I moderated a panel discussion on mobile trends. The general view on stage was that QR codes were boring and passé but just a few hours later at the evening party, a group of developers were showing off an app that they hoped would change our minds. 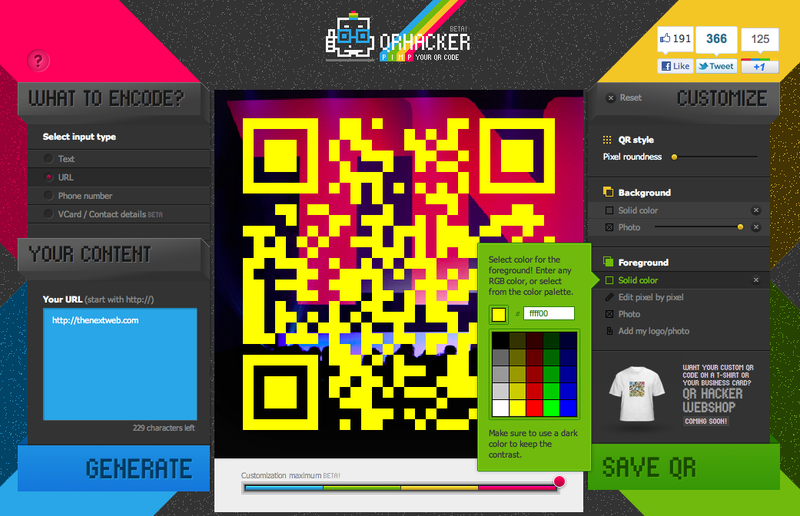 QRhacker, created by a small team at Hungary-based Carnation Group, is a bit different from your average QR code generator Web app, allowing you to quickly and easily personalise the familiar square barcodes without the need for any Photoshop skills. The first step is to choose whether your QR code will link to some text, a URL, a phone number or a Vcard containing your contact details. From there, it’s time to get customizing. You can give your code rounded edges, and change the background and foreground colors or even upload an image to be inserted into the background or overlaid across the code itself. If you want to brand the code, you can upload a logo to insert into the design. You can even edit on a pixel-by-pixel basis, letting you ‘paint’ designs onto the canvas. While it’s easy to get carried away, the app will let you know when you’ve gone overboard with a little too much customization to the point when your QR code may be unreadable. Finished designs can be saved as a PDF or PNG file. 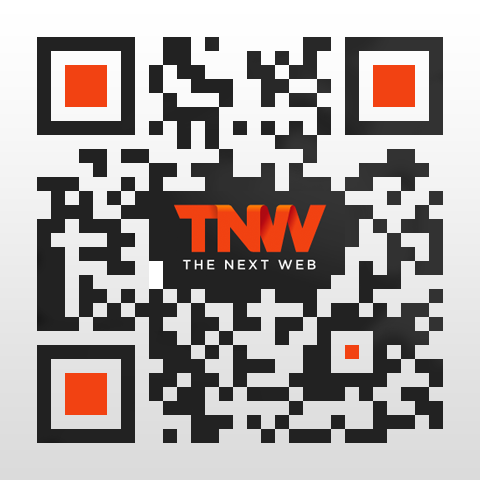 While I’m still not convinced about the long-term prospects for QR codes (advanced image and object recognition will replace them sooner than you might think), if I ever need to generate one it will be with this useful, well designed and fun app.